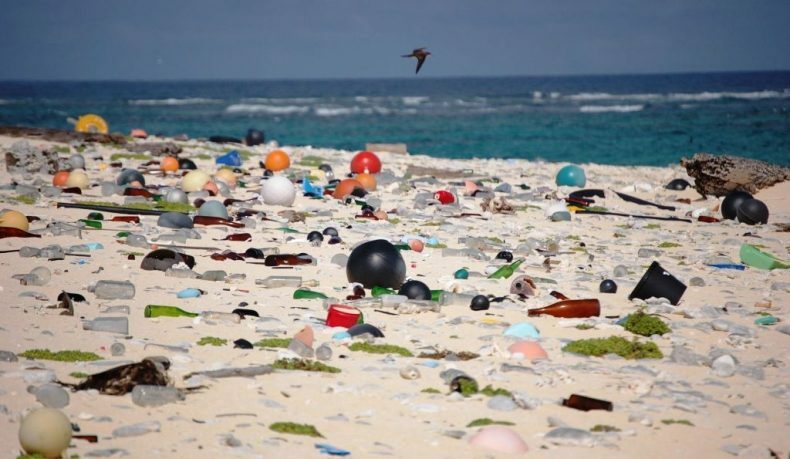 The world’s oceans (you may well have heard this before) are fast becoming deluged with endless tons of plastic rubbish. Very little of those massive amounts of plastic waste is biodegradable, meaning most of it will take hundreds, if not thousands, of years to degrade naturally. In the meantime, it will require herculean efforts from us to clean up larger swathes of plastic-contaminated water, never mind entire seas and oceans. Herculean efforts and plenty of ingenuity, that is. Two Canadian students have the latter in spades and have devised a simple new solution: bacteria that can metabolize phthalates (a binding agent in plastic products). Phthalates are harmful components that are used in a wide variety of consumer products from packaging to cosmetics to personal-care. They routinely leach into the environment, permeating the food chain up and down, and have been known to cause a large number of health problems for animals and people alike. Enter Miranda Yang and Jenny Yeo. 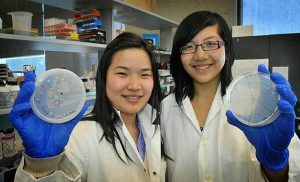 The two young women were still in high school in Vancouver when they hit on the idea of using bacteria that can break down phthalates. They then set about developing a process that dissolves plastics with a solvent into their base chemicals, which can then be broken down further with enzymes produced by special bacteria. She and Yeo have set up a company, BioCellection, and raised hundreds of thousands of dollars for it. They are planning to field-test a prototype of their invention this summer in China and launch a working device within two years. In a TED Talk presentation, they expound on the specifics of their invention and the vast extent of plastic pollution it is meant to tackle. Plastic-eating bacteria are becoming widely seen worldwide as a possible solution for tackling the vast amounts of plastic garbage floating around in seas and washing up on shores. Recently, Japanese scientists have isolated a strain of bacteria – Ideonella sakaiensis – that could live on the most common type of polyester, polyethylene terephthalate (PET), which is widely used in bottles, containers, packages, synthetic clothing and other consumer products.